If you feel you’re corporate event needs an eye catching touch then balloons are a great way to add a professional flourish to the presentation of a variety of occasions. We produce high quality balloons for corporate events and functions, having worked with varied clients including from retail, banking and the public sector. 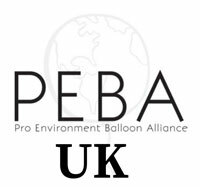 Whatever you’re requirements, we have the skill and experience to put together a bespoke collection of balloons, with company colours and style an important consideration in our work. Whether it’s table arrangements, door arches or balloon columns for events, our team knows how to get it just right. 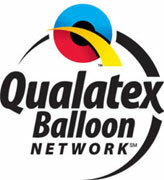 The rule of seven is a common reference in marketing and advertising, and a good way to gain familiarity and help to seed your company’s name and brand in the minds of members of the public or business clients is through the inclusion of brand names and logos on balloons and displays. As well as brightening up the presentation of a conference or launch event, the right balloon display can have a telling impact on the impression you make to clients and customers. Corporate balloons are also a great way to grab attention at trade fairs and shows, with balloon arches and columns looking great to surround and complement a trade stall and draw the focus of attendees. With a list of clients across the Yorkshire area which includes Asda, Mulberry and NHS Leeds, we’ve a wealth and variety of experience in creating stunning balloon displays that look perfect, create an impression and help to deliver your brand and message.